What? Molly Is FINALLY Writing Her Within Arm’s Reach Blogpost! 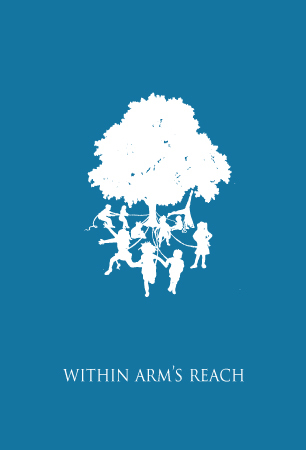 Now that it has been a month since Within Arm’s Reach opened at the Secret Theatre, I feel like I can finally post my wrap-up without conveying with every word my stress about the show (I swear it was written long ago and not today). 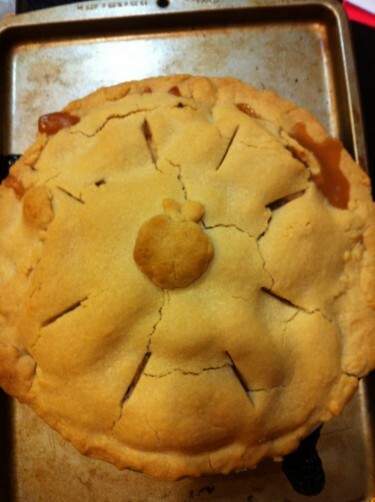 I didn’t want to pass the stress on to the audience or cast…or that is my excuse for this taking that long to post. How can you be stressed when “Huhhhh” our mascot is around? Those of you that know me are probably wondering: “Why so stressed, Molly? You’ve been working in theatre with multiple titles for the same project for nearly ten years now.” Perhaps this is true, but this is the first time I’d attempted to have four titles for a show. Although, Jess and I had always talked about me coming on to her “baby” project of Within Arm’s Reach as co-adapter and co-producer, by the time we had an audience I was also set and costume designer. That being said, stress was abundant in my life for this production as there are not enough hours in the day. The entire process start to finish was very quick. 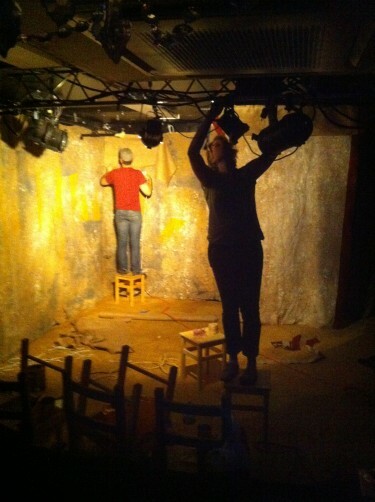 Jess and I really didn’t get our hands dirty with the adaption until January and we opened in mid-March. Did I mention I’ve never adapted a novel into a script before? What would I do without Jess? It’s a question I asked during this process qite a bit. Adapting was a process that I had a love/hate relationship with at the beginning. Currently, those of you who saw our last production The Sandman’s Coming know this, I’m in a place where my biggest theatrical interest is exploring story telling without an abundance of words (or what I’m starting to coin as Beyond Words Theatre). 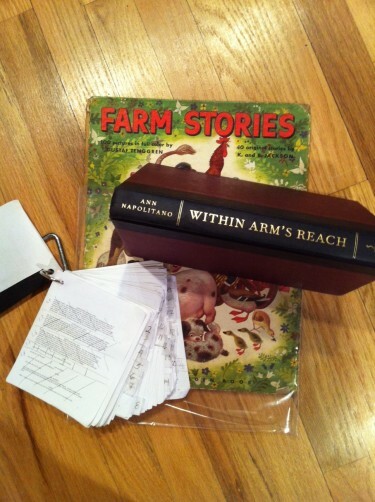 Within Arm’s Reach was words, a lot of beautiful words. It was daunting to say the least. It was fascinating to learn the parts of the story that Jess was very drawn to verse what I was. Who said producers aren’t busy during tech? Fast-forward through casting and I suddenly realized, “Oh, right. I’m designing. Maybe I should start that.” It’s been a bit since I’ve costume designed a piece that I wasn’t also directing (I originally went to university for costume design), so I was thrilled to jump right back in with this. Jess and I have worked together in so many ways, however, I can’t say I wasn’t nervous for our first director/designer show. Made even worse by the fact that I was designing the set as well as costumes. Part of what makes Jess and I a great team is how differently we work. The rest of our design team got this a lot during tech. What’s the verdict on Jess as director and me as designer? I would happily design for any show that Jess directed! Within Arm’s Reach brought out one of my initial reasons for getting involved in theatre. The community of artists that is formed during a show, however fleeting, is beautiful. From late night/early mornings painting the theater with Jess, to character chats with the cast, to listening to Ien morph the sounds of children; we had a truly wonderful group for this one. This is all to say that sometimes, stress and being in a slightly uncomfortable situation end up creating a product that, at the end of the day, you are thrilled with. Of course though, it’s not ALL about me. Within Arm’s Reach would not have been the same without the wonderful cast, crew, donors, and audience we had and I can’t say THANK YOU enough to everyone involved. But, really, can I sleep now? 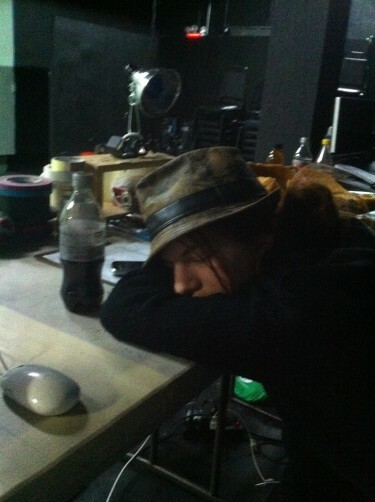 Cat napping at the tech table. Disclaimer: Any grammar/spelling mistakes were made to keep John on his toes! In all seriousness though, I wanted to give a quick status update on WAR! We were bummed to lose two cast members but are so excited to have Lucinda and Erin joining us. So, we’ve now had a full cast and crew for about a week and a half and in the next two weeks we’ll be doing a whole “Meet the cast and crew” dealio on FB or on the blog (haven’t decided which yet) so you’ll get a chance to know everyone a little more before seeing them on opening night. We’ve spent the last two weeks doing script revisions and table work. As far as script revisions go, I am now cautiously optimistic in declaring the script “pretty much locked”. Yeah, I’m not going to say it is hard-core-locked-down-and-there-won’t-be-a-single-other-change (I’ve learned that lesson before), but I’m confident in saying that there shouldn’t be any more major changes. As is the case when you’re workshopping a show, there’s always the chance in rehearsals, as the show gets on its feet, that adjustments will get made and changes will happen; and I’m fully expecting that to be the case here. However, the likelihood that we’ll cut an entire scene or add a new four page monologue, diminishes with every moment that passes. 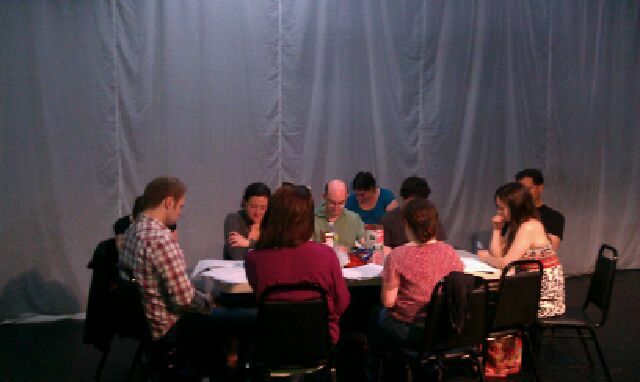 As far as table work is concerned, this is one of my favorite parts of the rehearsal process. For those of you not familiar with table work, this is a time in rehearsal, where the actors and director and stage manager (and if you’re lucky the writer) sit around a table and talk…yup, it’s glamourous stuff, folks…but seriously we sit around the table and discuss the show – who are these people? what are their weaknesses? what are their strengths? what do they want? what are they afraid of? how do they relate to each other? All of this is a crucial part of what the show will be and this, at least on a Jessica Ammirati directed show, is our first chance to discover the answers to those questions. Today, however, we get on our feet for the first time and we start to block the show. Another favorite part for me…who are we kidding, they’re ALL my favorite parts. It’s official, tickets are on sale now!!! I repeat TICKETS ARE ON SALE NOW!!!! You can purchast tickets here, or you can call 866-811-4111. Only 12 performances so be sure to purchase early to be guaranteed a seat. So, postcards are being printed. Props are being purchased/built. Set pieces are being purchased/built. 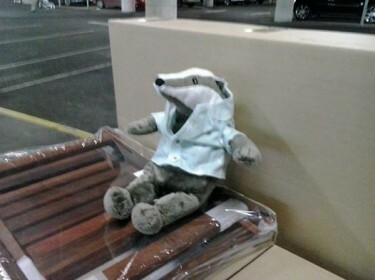 Costumes are being gathered. Projections are being filmed and created. Sound and lights are being designed…the show is beginning to come together…and…in order to pay for all of this, well, number 1 – did you see? TICKETS ARE ON SALE!!!!! and number 2 a Rockethub campaign is about to launch. More details shortly, but I will say, we’re looking at some fun rewards and a generally fun campaign. And, since this show is all about family connections, we hope YOU will join the Within Arm’s Reach family. Ok, so I have another few posts waiting in the wings and I’ll get them up on the site in the next few weeks. I’ll talk about post-show depression and new GTTP members – new projects and the life of a small independent theater company and everything will return to normal but before I do that I wanted to just say something about this whole natural disaster thing. First off, I want to say that thankfully GTTP is fine. We’ve weathered the weather with limited damage to property and no damage to the people in the Tahiti circle. I also got word from Richard Mazda, the owner of The Secret Theatre, and, despite it being near the Hurricane Sandy flood zone, our unofficial home is also fine. No damage to any of the three theater spaces there so we are very thankful to the storm gods for that. Our community is safe. However, as I’m sure you’re all well aware, the Eastern Seaboard, particularly New Jersey and New York, were not so lucky. Our hearts and thoughts go out to all of those affected by the storm who recently got slammed again by this little nor’easter that blew through last night. What this post is about is Arts and Sports and the things they share. I know that from an 80′s high school movie standpoint arts and sports have nothing in common. There are jocks and there are drama kids and never the twain shall meet. But, as a lover of sports movies, I’ve never understood that totally black and white view of either high school or, honestly, the world. Sometimes the drama kids are athletic. Sometimes the athletes can sing…You get my drift, but that’s not what I wanted to talk about either. What I wanted to talk about here is the thing that I think sport and art most have in common and that is their power to create a community who might not share anything else in common but they all like “this” whatever this happens to be. In this instance, when I say art I mean theater (because, of course, that’s what I do) but it applies to all of the arts: music, or painting, sculpture, or photography – you name it – they can all connect you with others. And, when I say sport, because I’m about to talk about running, in this instance that’s the sport I’m referring to but anyone who has cheered on his or her team during the world series, or the world cup – anyone who has cried over his horse’s defeat at the Kentucky Derby or her team’s defeat in a high school championship knows that any sport can bring people together. Because sports and the arts, they are more than just sport and art, they are ideas. Ideas we believe in. Ideas we share with others. 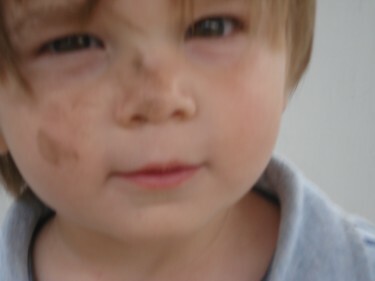 And both sport and art create these little tribes, these little families that believe in the same thing. It might be the only thing they agree on but on that idea they are united. Close to 1300 marathoners-turned-relief-workers wait in the Staten Island Ferry terminal for the boat to take us to the island. I’ve spent the last week, both when I thought the marathon was happening and then after it was cancelled, looking at my feelings about the race. I was conflicted about running had it gone ahead. Don’t get me wrong, if the city decided to do the race, I would have run it – I had trained too hard for too long not to run, but I was conflicted and I realized one of the reasons for my conflict was that to me the NY Marathon – hell, any marathon but particularly New York – is an idea. And a grand one at that. It’s about pushing yourself to the limit. It’s not just a 26.2 mile run. For every runner who does a marathon (or who trains for a marathon) it’s about setting yourself a goal and then either accomplishing it or not but learning about yourself during the struggle. It’s about looking at this crazy distance and saying, “no way. I can’t do it.” And then doing it anyway. For the NY Marathon, it’s about a whole city lining the streets and cheering for you even though they don’t know you – coming together to help you because in the end it’s about looking into the abyss and knowing the abyss is looking back at you, steely eyed, and pissed off, and then choosing to jump into it anyway, and to be honest, you need all the help you can get. It’s dramatic and it’s moving and no matter how alone you might be when you train, when you line up with thousands of other people to run, and when you run through streets lined with thousands of other people cheering you on – well, you ain’t alone anymore. Because that’s what the marathon is about – setting goals and challenging yourself and getting through hard stuff with the help of your community. And though you show up with strangers, you soon make friends as you struggle and suffer together. And though you’re cheered on by strangers, you find your friends along the route. And for one day – for one moment in time, this enormous, isolating city, filled with millions of people, becomes this community of people all in it together. 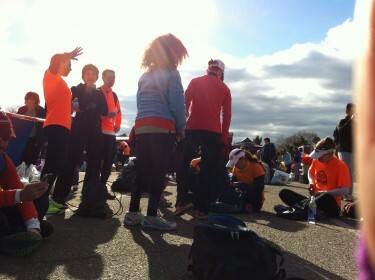 So a bunch of people wanted to run…and a bunch of people on Staten Island (the starting point for the marathon) needed help. 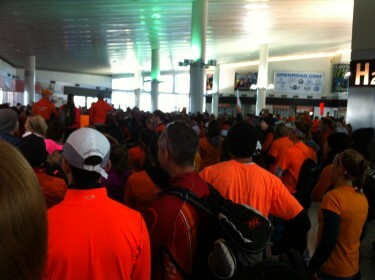 And in stepped New York Runners In Support of Staten Island. Organized by a group of runners who were planning to do the marathon, (and they put this together in about 24 hours, folks), the group urged hundreds of would be marathoners to spend the Saturday before the marathon buying relief supplies and readying backpacks instead of resting up and carb loading for the following day’s 26.2. And, on Sunday morning, as planned, we loaded onto the Staten Island Ferry and took a ride. The idea was that we’d all put on something orange (the race’s color), we’d put the supplies in backpacks and we’d run the supplies out to people on the island who needed them most. Along the way we’d pitch in and help, however we could, but most importantly, we’d go door to door – we’d hand out supplies, we’d help clear debris, we’d listen to stories the folks needed to tell, we’d cry with them or hug them or be with them – whatever they needed. We were told to be flexible and ready for anything. And instead of running away from Staten Island, we’d run right to the heart of it. It was expected to be about two hundred people. Thirteen hundred showed up instead. It started with 5 different groups separated by distances: 6-8 miles, 8-10 miles, 10-12 miles, 12-14 miles, 14+ miles. It turned out there were at least 2 groups for each distance. 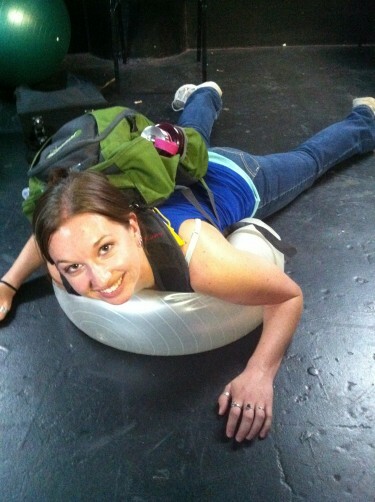 For me, I knew I could do a full 26.2 but with 20 pounds of relief supplies on my back? With my old thick-soled sneakers instead of my barefoot shoes (there was a lot of debris still on the streets)? Without bathrooms or water breaks or aid stations? I decided I’d opt for the 8-10 mile route. 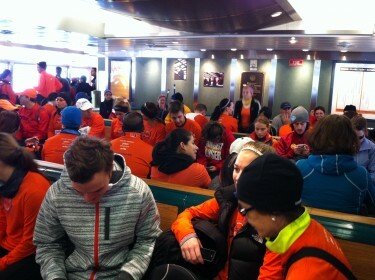 The Orange-Clad Army on ferry number 2.
group, scheduled to go 8-10 miles, gathers around our leader to confirm our route and get ready to head out. Then the leader makes an announcement. It turns out that they’ve talked to FEMA and discovered that the people who really need our help are a bit further out. So instead of 8-10 miles it looks like where the help is really needed on our route is a round trip distance closer to 14 miles (4-6 miles farther than expected). So our leader makes the announcement – it’ll be 14 miles not 8, but that’s where the help is most needed. “So,” she says, “we can either stick with the original plan or we can scrap it and go where they most need us. Why don’t we take a vote? Let me get a show of hands for everyone who wants to do the original 8 mile route.” And then she looks out at the crowd. And do you know what she saw? Not a collection of individuals but a community with a single idea – Not one hand was raised…not one. And did I mention these people were mostly strangers. I mean there were little pockets – 2 people together here, 3 there – but as a group, we hadn’t met before we showed up to run. We didn’t know each other, we just came together because we shared this thing – this idea. This wish to challenge ourselves, but also to help. This wish to be a part of something bigger than ourselves. To be a part of this group. And in this case, our little community could help a bigger one. So that’s what we did. Taking a break at the FEMA station before heading back home. We ran out to the FEMA station and along the way we stopped to hand out supplies – “who needs garbage bags?” “Do you need food and water?” “How about soap and shampoo, I’ve got soap and shampoo here?” We helped carry debris. We listened. One woman, standing in front of a pile of debris that a week earlier had been the contents of her brother’s home, hugged me and cried and said she just needed to know they weren’t alone. She didn’t need anything in my backpack but in that moment she seemed to need me. Just to know that they weren’t alone. That they weren’t forgotten. That was what she seemed to need most of all. In the end it was a long, hard, wonderful, awful day. The devastation is unbelievable – and my group didn’t even get to the worst of it. Houses that are piles of debris. Cars that have been washed onto embankments. Sinkholes where once there were sidewalks or fields. One of the other runners kept saying to me, “how do you come back from this? How do you ever get back to normal after this?” And all I kept thinking was, “you don’t do it alone, that’s how.” So, in the end, I think sport and art have the power to move, to make a difference. And hopefully, in some small way, the power to heal. But their greatest power, is the power to bring us together. In the weeks and months to come, as the temperature drops and more storms roll through areas with weakened (or in some cases obliterated) infrastructure, my heart goes out to everyone who is trying to come back from this. And, I want to say – you’re not alone. Because, it turns out, a run is a lot like a play — it is a statement — an idea — of strength and community, of coming together, of not being alone. The folks in Staten Island and other parts of New York and New Jersey still need your help. Please join our community. Please help. 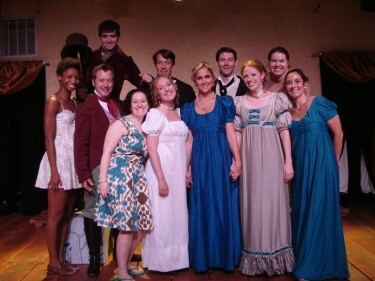 Of course, what I didn’t realize when we applied for FringeNYC (and I’m not sure why I didn’t realize this because it’s not like I’ve never had a busy schedule before) was that I would go directly from directing and producing Jane Austen’s Persuasion right into casting, directing and producing In the Ebb. So, my dear readers, the last few weeks have been…uh…hectic, yes, hectic would be the right word. 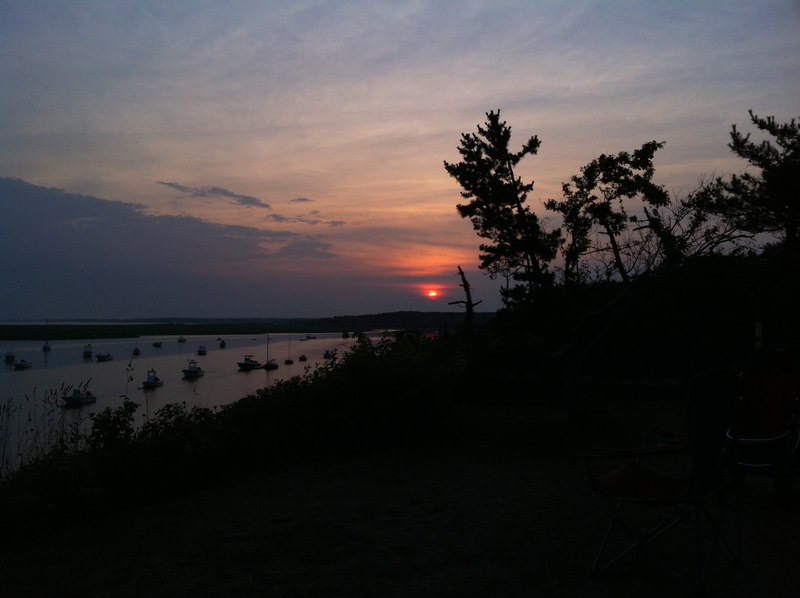 Also, as if that wasn’t hectic enough, sandwiched in between the close of Persuasion and the start of rehearsals for In the Ebb was my family’s yearly, week-long trip to Cape Cod. However, I’m back from the Cape and knee deep in the show. We’ve actually just completed our first week of rehearsals and have blocked all of Act II – the one-act, St. James in the Field of Stars. Tomorrow we delve into Act I – the one-act, The Ebb (yes, I know, we’re doing things a little backwards this time around, it’s kinda fun). I am blessed with a wonderful cast and an amazing crew and I’m absolutely thrilled with what we’ve got so far. And, as always, I’m LOVING the process. Tickets are $15 in advance or $18 at the door and are on sale now at www.fringenyc.org, on our very own Shows & Events Page, and by clicking the specific performance dates above! So, sadly, the bamboo fans have been folded up, the Empire waist dresses have been hung, the cravats untied…Jane Austen’s Persuasion is over for now. We had an amazing 14 performance, two week run, at The Secret Theatre! We had an important first on this production – our first Sold Out Show – and on a holiday no less! I’ve already talked here about the amazing cast and crew that was a part of Persuasion and, amazing they were and continue to be. But now I’d like to take a moment to thank all of you – everone who came out to see the show – some of you twice! And all of you who support what we do. I’ve had a few people tell me how much they like our work at GTTP and I wanted to say that we couldn’t keep doing what we do here without the support of all of you out there. Thank you for coming out to our events, thank you for your donations, thank you for your kind words and THANK YOU for being a part of the GTTP family! To be honest, I’m not sure where Jane Austen’s Persuasion will go from here. I’m hoping this isn’t the last you’ll see of this group, this show, this particular production…but whether we re-mount the show in a couple of months or years, or we let it go into that ether into which closed shows drift, you’ll definitely be seeing GTTP again sooner rather than later…in fact, if you’re around in August, come check us out at the NY International Fringe Festival. Keep an eye out for details on In the Ebb which will be posted soon. If you haven’t had a chance, while there’s still time, please go to the NY Innovative Theatre Awards website and cast your vote for our show. Thank you again for being persuaded to hang with us here at GTTP for the last two weeks. We hope to see you in August! JANE AUSTEN’S PERSUASION has Opened and the Silent Auction has returned!!!! 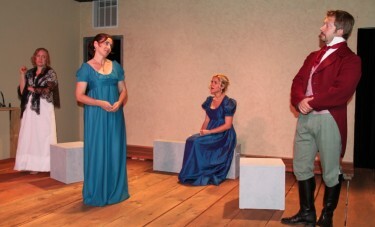 Jane Austen’s Persuasion has opened!!! …and, I know I’m biased and all but, Guys? Seriously? It’s a beautiful show! I couldn’t be happier with the script, the cast, the tech, the performances and the general spirit of the show. We’ve done three performances so far and the audiences are really enjoying it. Tonight begins our first crazy weekend – four shows in three days and we hope we get to see you all and that you get to see us! I did want to give you a heads up that we have limited seating for this show – only 36 seats per performance so if you’re thinking of seeing the show this weekend, I HIGHLY recommend you get your tickets online beforehand. If there are seats available, tickets will be available at the box office, but with so few seats, there’s no guarantee. Watching these first few performances I have been struck by the thought that I have been truly blessed with one of the best casts and crews in professional theater. Throughout the rehearsal process they didn’t bat an eye through crazy blocking choices, dance lessons, tiny backstage space, auxilliary dressing rooms…and any number of little issues that came up during the last 5 weeks…blessed I tell you, absolutely blessed! I also wanted to mention the return of the silent auction! We still have some items which we are auctioning off (silently) during the run of the show both, in the lobby of the theater and online. If you’d like to take a gander at (or even bid on) an item, take a look at our silent auction page above, or take in the show and bid during intermission. I’ll continue to post updates online and the silent auction will close on the evening of the day of our last show (July 8th). 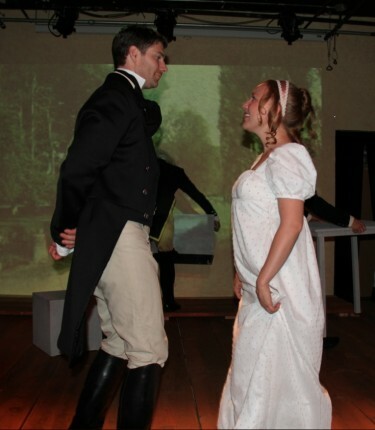 So come on by the theater and take in Jane Austen’s Persuasion! We’re looking forward to seeing you at The Secret Theatre! 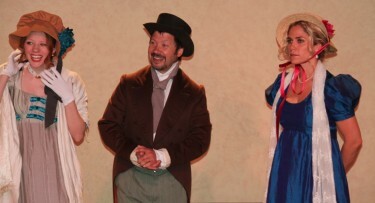 To buy tickets for Jane Austen’s Persuasion go here. I’m sitting in an empty theater-no actors today since its equity day off-and I’m waiting for a few different crew members to arrive to take care of some last minute things before opening night. A couple of costumes that were being altered are getting dropped off, some finishes to the set are being, well, finished, the programs are being proofed…but in this moment of quiet before the storm, this pause for breath before the opening adrenaline kicks in, one thought keeps going through my head. And that is this – an empty theater is my temple, my church, my holy shrine. It is the place I’m most at home, most comfortable, most peaceful, and most me. I remember when I was in college, my favorite place on campus was the theater. It was a massive 1500 seat auditorium but when no one was in it and there was just a bare stage with a ghost light, I could sit for hours and soak up the smell of backstage – that mixture of saw dust, residual hairspray and, yes, sweat–the remnants of thousands of shows, thousands of possibilities and oh how I loved it! I’m not a religious person but there I could pray. And? It turns out it doesn’t have to be an enormous auditorium for me to feel it. In this little empty black box tonight, with our 36 seats, we’re about to create something (actually we’ve been creating it for 5 weeks) and now we get to show it to you. It’s a rush, it’s a thrill, but more importantly, for me at least, it’s the reason I’m here. Nothing in the world makes quite as much sense to me as this does and I’m pretty sure that’s how most of my cast and crew feel too. You see, I was thinking the other day that working on a show, if you’re doing it right, is like being on the island of misfit toys. We, none of us, fit in perfectly anywhere as well as we fit in with each other. And we particularly fit in when we create something for you. So we gather in darkened theaters, turn on the lights, and try to make a little magic happen, try to take you, our audience, to Tahiti…or Regency England as the case may be tomorrow. So come on out to The Secret Theatre tomorrow night and for the next two weeks and take the trip with us. This particular misfit thinks you’ll be glad you did. Jane Austen’s Persuasion opens tomorrow (or actually probably tonight by the time you see this post – either way June 26th) and runs until July 8th. Tickets and details available on the Show and Events Page above or you can buy them here. 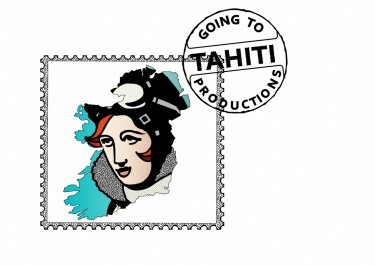 Also, if you want a little glimpse of (or more appropriately a listen to) Jane Austen’s Persuasion, check out my interview with the cast and adaptor of the play on the latest episode of Tahiti Dispatches (GTTP’s Podcast Series). Ok, so this blog post is a week late. I know I know – you’ve all been breathlessly anticipating an update on all things Tahiti. I can only excuse my absence from the interwebs last week by saying that in the midst of rehearsals for a show based on a book written by the queen of romance I took a week off from fictional romance to participate in real romance. Basically, last week, we added a new member to the Tahiti family – my younger sister Camilla, (whom many of you Tahiti followers know as the playwright of both In the Ebb and Skin Flesh Bone), got married last week and while I was reminiscing about (read: recovering from) an amazing party, I wasn’t in my Persuasion head space. However, a week of rehearsals and gala prep have brought me back to reality and I’m here to give you all some exciting updates! We have received an RSVP from our very own Jane Austen (actress, writer, teacher, director and producer, Karen Eterovich). Karen, whose production company Love Arm’d Productions focuses on promoting the work of Jane Austen, has written a solo show called Cheer from Chawton: A Jane Austen Family Theatrical. Karen (seen in the photo here arriving at a different Jane Austen evening) has graciously agreed to step into Jane’s Empire Waist dress for the evening and entertain our gala attendees as Jane Austen. Personally, I’m very excited to see how Jane herself reacts to our modern age and, more interestingly, how we smartphone-toting, twitter-tweeting, facebook-posting moderns are able to blend into Jane’s world. If you’re interested in learning more about Karen’s performances outside of our Evening with Her, hop on over to her website, here. Everyone at GTTP, hopes you will join us and Jane for food, drinks, and dancing at our June 16th gala – it may possibly be the event of the season! Although the early bird discount has expired, tickets are still on sale online here and at the door (124 Washington Avenue in Ft. Greene Brooklyn. More details (including directions) on the event itself can be found here. AND, for those of you who really really want to come to the gala but are hesitant because you don’t have a Regency Period outfit in your wardrobe, stay tuned for an upcoming blog post where I show everyone how to dress like a Jane Austen character using clothes you already have in your closet. *denotes members of Actors’ Equity Association appearing in an AEA Approved Showcase. This past week we’ve done a rough block of the whole show and tomorrow we head into a week of character work. I’m excited, with a Jane Austen story so dependent on both relationships and the unspoken, to really delve into what makes these characters tick and see how those little (and I’m sure in some cases big) discoveries affect how we play the scenes when we return to the text next week. The other big news on the Jane Austen’s Persuasion front is that tickets for the June 26th-July 8th run, are now on sale. As with all of our shows, tickets can be purchased online at our home page, our shows and events page, or by clicking here, by phone at 866-811-4111 and at The Secret Theatre Box Office at 44-02 23rd Street, Long Island City, NY 11101. This production will mark GTTP’s fourth production at The Secret Theatre and our first in the space known as The Little Secret. Can’t wait for y’all to see it. And, just because I think it’s so awesome and our designer Christine Diaz did SUCH an amazing job on our images, I’d like to leave you with our Jane Austen-ized version of the tahiti logo. Enjoy! Saturday began with a site visit to MIMA (the site for our GALA Event – An Evening with Jane Austen – Oh, did I mention, tickets now on sale here!!!! – It’s a BEAUTIFUL space, y’all. I can’t wait for you to see it. Me and my Fundraising Coordinator, the incomparable Shanai Jensen, went to the space to plan some specifics about the event. You know, like “food will go here, silent auction there, drinks here, dance lesson there.” Step by step it’s all starting to come together. We also discovered (thanks to the construction on the G train) that there is an INCREDIBLY simple way to get from Greenpoint/Williamsburg to MIMA and it is the B62 Bus. It stops literally half a block from the space so for those of you who are looking to take public transpo and don’t want to walk from the G (or if the MTA decides to do more construction on the G line on June 16th) the B62 is the way to go! Following the site visit, Shanai and I headed to the Secret Theatre, where a group of actors, Tahitians, and friends volunteered to read the working script for Laura Bultman, our genius adapter, to hear out loud. It was a fun and helpful excercise for a certain director (that would be me) as well. It’s amazing how a script can be so clear on the page and so different once the lines are read out loud. Thanks to this reading, Laura will be able to make final revisions to the script before we head into auditions and onward to rehearsals. After the weekend’s activities, today I sat down with the stage manager and a few of the designers in our first official Jane Austen’s Persuasion Production Meeting. We got to take a look at the performance space and get a jump on initial ideas. It’s funny, even though the script is still going through revisions, there’s still much to be done. Somewhere in the last two weeks a switch was thrown from “lots of time to get everything done” to “not enough time to get anything done.” It’s amazing how fast that happens. The good news is that the one-act I directed as part of The Secret Theatre’s One Act Factor, has been chosen as a semi-finalist! After 2 sold out performances, The Day Job by Julia Blauvelt, will get at least one more performance this Friday, March 30th at 8pm. And, if we pass to the Finals it will get two more performances! Tickets and details available here. The whole festival has been incredibly successful. The shows have played to sold out houses and it’s the first time that something I directed has sold so well…and that’s what I wanted to talk a bit about in today’s blog. You see, NY independent theater is hard. It’s hard work, yes, but it’s also hard to get audiences. I know, I know, I know, this is not new information; I mean, it’s hard to get audiences for EVERYTHING, so it’s not a shock that it’s hard to get audiences for low budget indy theater in the theater capital of the world. After all, Joe Blow Tourist from middle America ain’t coming to my experimental, multimedia, adaptation of an obscure Mary Doria Russell novel, even if it is a fantastic show and even if it is practically in Times Square…but still, it can be hard to keep the motivation going and, when you’re involved in a production that does very well (as I am with The One Act Factor) it’s a reminder of how things sometimes don’t go so well in other areas of your life. Most of the time I try very hard to be nothing but positive on this blog. I mean GTTP is an exciting company and we do exciting work and I want you all to see that, hear that, and feel that from this blog. I don’t mind sharing the reality of the difficulties of producing theater here but I don’t want to skew to the negative. I want to be honest – I mean, isn’t that what a blog is for/about but nobody wants to hear me whine about how producing theater is haaaaarrrrrdddddd. So, read the rest of this blog at your own risk. If you’d rather just see the happy sunny side of life, skip this blog post entirely and catch up with us next week when I discuss the best theater organization in the city that you’ve never heard of. But, if you want to hear the truth, keep on reading…and stick around for the end cause there’s a nice little addendum to this story. So, in order to become a director, I became a producer. It seemed like a good idea at the time. And I started this production company… And you know what? We’re good. I mean we do good – really good – work. And, every show I think “this one’s going to be different. This time I’ll get the word out in advance. I’ll make sure the show is listed everywhere, that everyone knows about it. I’ll hang signs and run campaigns and we’ll have HUGE audiences (or at least decent houses).” And you know what happens? I do the listings. I hang the signs. I talk to the people and… we’re lucky if we get 10 people! Now, I know we don’t have brand recognition. I know we often do new works and none of those new works are produced by Alicia Keys or starring Sarah Jessica Parker, but still, we do great stuff with amazing actors. How are we flying under the radar? Why is word not spreading? In the past I’ve had marketing help but clearly it’s time to bring in a pro… or is it? Is it worth the expense? Will they really bring in an audience or funds or whatever? What’s next? I’m hoping Persuasion, being Jane Austen, will at least bring in some folks, but honestly, if we can’t bring in some money, we can’t do Persuasion. This is why we did Full Disclosure. Do a smaller less expensive show, sell out a few houses and BOOM! Enough money in the bank to have a base for Persuasion but you know what’s happened? We did 12 performances of a planned 14 performance run and… no sold out houses. In fact our largest house was eighteen people and we had to cancel two performances (one of them on a SATURDAY night!) because there was no audience! I mean, I’ve faced small audiences before but since the start of GTTP I have NEVER had to cancel an entire performance, let alone two. We’re going backwards!! So now what? You have to persevere. You can’t give up. You just need to have a thick skin. But, if I’m really going to persevere (and who are we kidding? I am because a director is who I am) and if I’m not going to give up (spoiler alert: I’m not (see the whole “it’s who I am” thing above)) then I don’t think the thick skin is going to cut it. I think, not a thick skin – a short memory. Yes, you have to remember enough to learn from your mistakes but once you’ve done that? Forget, forget, forget. Forget the disappointment of the last time. Forget that acid stomach, might-vomit feeling of looking at the two presales at five minutes to curtain and thinking “maybe there’s a tourist bus full of people just pulling up out front.” Forget the headache inducing feeling of looking at your audience of 2, count ‘em TWO wonderful people, knowing they’ll still get an amazing performance but that it would be better if that 2 were 20 or 50 or 100. You need to forget, forget, forget and believe – really BELIEVE that next time it will be different… And then SOMEHOW you need to make that happen. 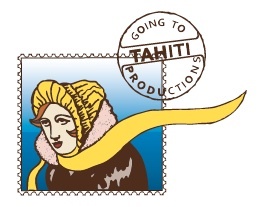 Because, if Going to Tahiti Productions is about the possibility (and it is), about all of the possible things that could happen when that curtain goes up or those lights go on… well then, it’s definitely POSSIBLE that one of the possibilities is playing to packed houses. Maybe with a longer run. Maybe with a show with a bigger budget. Maybe with a press rep. Maybe, maybe, baby… but whatever the answer I guess the only way I’m going to find it is to keep trying…right? So, I guess I have no choice, right? So, I pick myself up off the mat, forget, forget, forget the disappointments of last show, last year, last night…know, know, KNOW that the product is good, whether the audience is 2 or 20 or 50 or 100. Know that the show is HIGH quality and get ready to do it again tomorrow. I mean who are we kidding? In the world of dreams is there ever, was there really ever, an option to do anything OTHER than keep pursuing? I think not. See you at the theater, folks. I know it’s where I’ll be… And honestly, I really hope you come and join me for the ride! So I wrote the above blog post during the run of Full Disclosure, and though the show was terrific and Kiwi Callahan knocked it out of the park for every freaking performance, we didn’t have a fantastic attendance rate and we lost money on the show. BUT! Something happened with Cat Lady Without a Cat. Are you ready? We made…wait for it…EIGHTY EIGHT DOLLARS! That’s right, ladies and gentlemen of the interwebs, we didn’t lose a dime on our last production, we are in the black! So, you know…progress…Here’s hoping this is the beginning of an upward trend for GTTP! 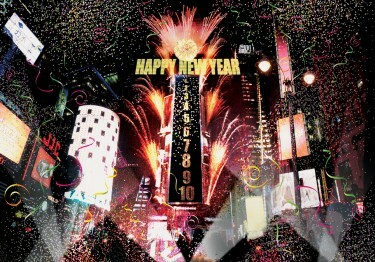 I have a feeling, 2012 is going to be a very good year. Thank you everyone who turned out for Carrie Keskinen’s Cat Lady Without A Cat. The three performances were terrific and Carrie got some fantastic feedback from audiences for development purposes. We don’t know what’s next for Cat Lady, though it has been submitted to the FringeNYC Festival, so hopefully NY audiences will get a chance to see it again this summer. Although this is not a GTTP show, The Secret Theatre is a terrific space and they’ve been great to us. If you’re looking for a fun evening of one-acts (or 3 fun evenings of one-acts) join us at The Secret. The play I’m directing is called THE DAY JOB by Julia Blauvelt and it will be performed as part of Series B, on Friday 3/16 and Saturday 3/24. 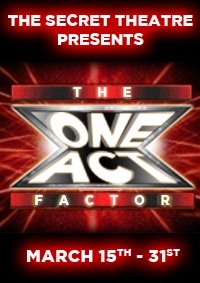 The Secret Theatre is pleased to announce THE ONE ACT FACTOR, a brand new competition style one-act play festival held from March 15th-31st. Each week actors, playwrights and directors band together and compete to win cash prizes in Best Play, Best Director, Best Actor and Best Actress in a showdown similar to the popular talent shows we’ve all seen on TV. As the weeks go by, teams advance to the final rounds through audience votes. Awards are also determined by celebrity judges who will give encouragement and advice to all the contestants. This new form of one-act festival is sure to be fun for all involved: actors, directors, playwrights and audience members alike. For more details and to purchase tickets go to: www.secrettheatre.com. Now that Cat Lady has closed and the grant applications have been submitted (for now), I can finally turn my attention to both Persuasion and the Jane Austen Gala, both of which will be happening in June. I’m about to start pre-production for the play (script should be ready on Wednesday!) and I’m in the process of securing donations from local vendors to make the gala an incredible, fun evening. So, if you know anyone with goods or services that they would like to donate for a tax deduction, please send them my way. The event will have food and wine and a silent auction and hopefully some dancing! As details are settled they’ll be posted. Looking forward to seeing everyone in June, if not before!